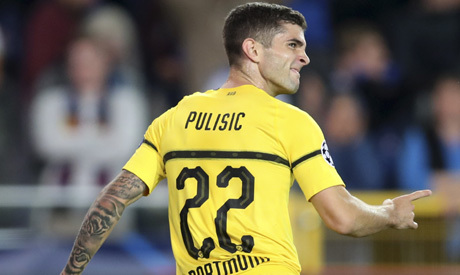 Chelsea have signed Christian Pulisic from Borussia Dortmund and will loan the American winger back to the German club for the rest of the season, the Premier League side said on Wednesday. The London club did not provide financial details but Dortmund said Chelsea paid 64 million euros ($73.2 million) for the versatile 20-year-old, who can play on both wings. "It's a privilege to have signed for such a legendary club and I look forward to working hard towards being a contributor to their team of world class players," Pulisic said in a statement. "Looking forward to working with Maurizio Sarri and his technical team." Pulisic has made 115 appearances in all competitions for Dortmund, scoring 15 goals plus 24 assists since making his senior debut in 2016. "It has always been Christian's big dream to play in the Premier League ... Because of this background and with his contract running down in 2020, we decided to accept Chelsea's incredibly lucrative offer," said Dortmund sporting director Michael Zorc.